Award winning actor and writer, Carmen Peláez has performed her solo play Rum & Coke to raves in LA, Chicago, Off-Broadway at Abingdon Theater and most recently shot it live at the Freedom Tower in Miami for Fall 2017 release. In 2012, she won the HBO New York International Latino Film Festival Short Film Competition with The Acting Lesson, which she co-directed and followed up with her short, A Queen Without His Crown. She's also a contributor for NBC Latino and has written essays for Marie Claire, Huffington Post and the New York Times. 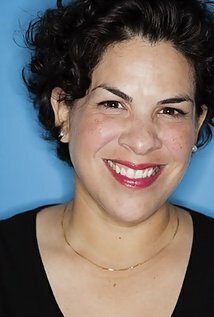 Currently Carmen is advising on the Netflix relaunch of One Day at A Time and the new Story Lab/Univision Production Juguetes Perdidos as she develops a her first feature.